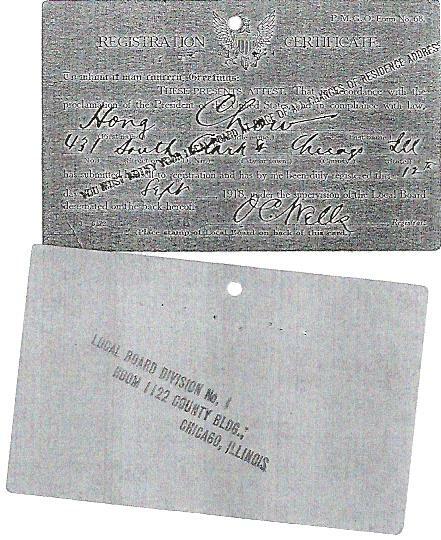 “Charlie Stewart Cue, affidavit photo,” 1901, Chinese Exclusion Act case files, RG 85, National Archives-Seattle, Charlie Stewart Cue case file, Portal Box 686, Por 641. A 1908 statement by Modena Stewart Cue said she and Joe Que (Cue) were married at Greenwood, Mississippi by Rev. N. L. Lackey in March or April 1894. At that time Joe Que ran a general merchandise store at Clarksdale, Mississippi called Joe Que & Co. His partner, Ju Gong, sold his interest in the store to Joe Que about December 1894. Modena and Joe had three children. Charlie Stewart Cue was born 31 January 1895. A midwife called “Grandmother Oliver,” attended Modena during his’s birth. Modena’s daughter, Mabel Cue, was born 17 August 1896 in Webb, Mississippi; and Joe Lee Cue, was born 16 September 1898 in Bonham, Texas. Mabel died 18 December 1898 and was buried in Bonham. Modena left her husband in 1899 so she could live closer to her family in Mississippi. She married John Williams at Coahoma, Mississippi in 1904. Joe Que returned to Chicago, Illinois in 1903 without Charlie. He left him with his mother in Man How Dewey, Hoy Ping District so he could learn Chinese. E. Sutcliffe, a ticket agent at the Frisco Railway System in Memphis and Will Hays swore in an affidavit that “Joe Que or Joe Cue” was a peaceable, law-abiding merchant and member of the firm of Joe Jim & Co., Dublin, Mississippi. His entry into the United States was approved. 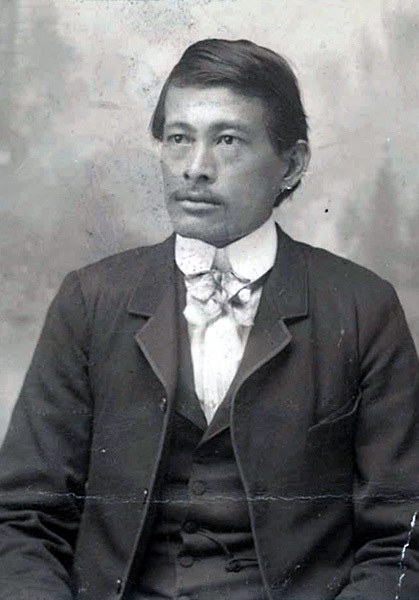 “Joe Que (Cue), affidavit photo,” 1903, Chinese Exclusion Act case files, RG 85, National Archives-Seattle, Charlie Stewart Cue case file, Portal Box 686, Por 641. In 1907 Joe Que’s mother died and he went back to China to bring Charlie back. 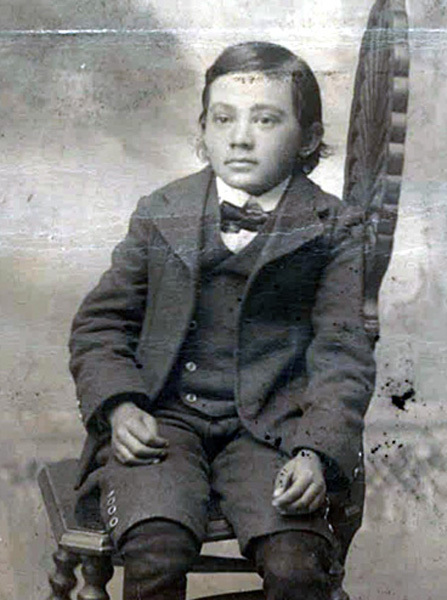 Charlie Stewart Cue was twelve years old in September 1908 when he arrived at Portal, North Dakota seeking admission into the United States. His mother had given him her photograph before he left for China in 1902; it was attached to the lapel of his coat. He described her as an American who did not look like his father, shorter than his father, and medium built. When Joe Que was interviewed he said that Modena was a mix of white and Mexican blood. Joe Que testified that he married a Chinese woman in China in 1907 because Modena would not live with him. The Board concluded that Charlie Stewart Cue was entitled to admission since he was a native born citizen. Joe Que’s entry was denied and his case was appealed. Modena’ Stewart Cue’s 1908 affidavit she said she was not sure if Joe Que ever married in China. This information must have satisfied the Board; Charlie’s father, Joe Que, was admitted two days after Charlie in September 1908. They listed their destination as Chicago. Florence Wong received her Certificate of Identity #49347 when she was seven year old. She and her family were returning to their home in Seattle from a trip to China on s.s. President Jefferson on 17 May 1923. They left Seattle in September 1921. In 1938 her husband Chin Tsee Foo, marriage name Chin Mon Bing, American name Harold Chin, was applying to visit Canada for a few days. Florence’s brother, Wong Oak Wing, would be accompanying them in their drive to Canada. Harold was born in Chicago, Illinois on 6 January 1914 to Chin Kong Fong and Chin Woo See. He had two sisters Stella Chin (Chin Chuey Hai) and Georgia Chin (Chin Yin Hai). Harold was a student at Aeronautical University in Chicago. His family still lived in Chicago. Harold and Florence were married in Seattle on 14 January 1935. 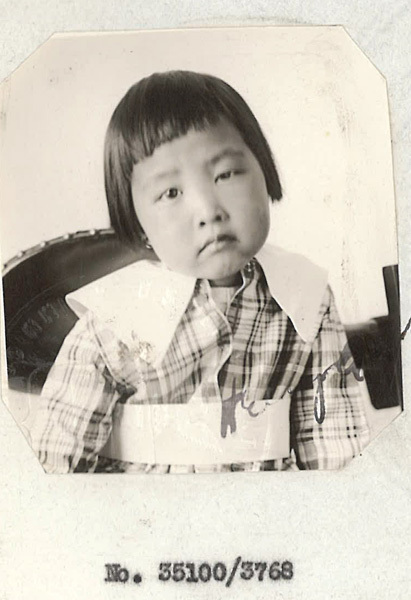 They had a daughter, Rosalind Maye Chin (Chin Lai Goon) who was born in Chicago on 6 March 1936. Florence Wong Chin, daughter of Wong Fook and his first wife Ong Shee, testified that she was born on 7 November 1916 in Seattle. A certified copy of her birth certificate is included in the file. 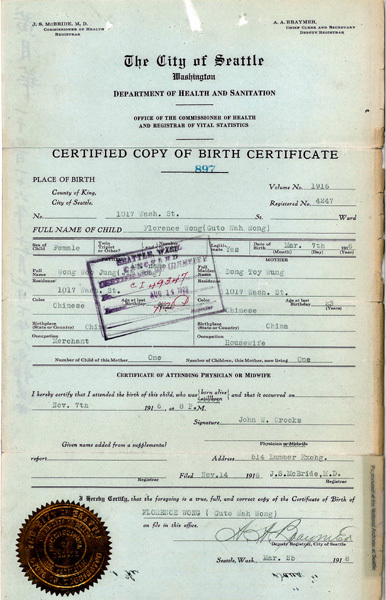 “Florence Wong (Guto Wah Wong), 1916 Seattle, Washington Birth Certificate,” 1918, Chinese Exclusion Act case files, RG 85, National Archives-Seattle, Wong Florence case file, Seattle Box 769, 7030/11401. Florence was the eldest child in the family and had three brothers: Wong Oak Yen, Wong Oak Wing (Homer Wong), and Wong Oak Foo (Walter Wong). After their mother died her father married Soo Hoo Shee; they had four children together and lived in Seattle. The files for Florence, her husband, daughter and brother were approved. They left for Canada by auto from Blaine, Washington on 5 September 1938 and returned on the 12th. According to the Reference Sheet the files examined for the case were those of Florence Wong Chin’s husband, three brothers, mother, father, step-mother and daughter. Their file case numbers are listed.